For years, new kitchen owners have had to choose whether or not they wanted to go with tiles to finish off their kitchen look. 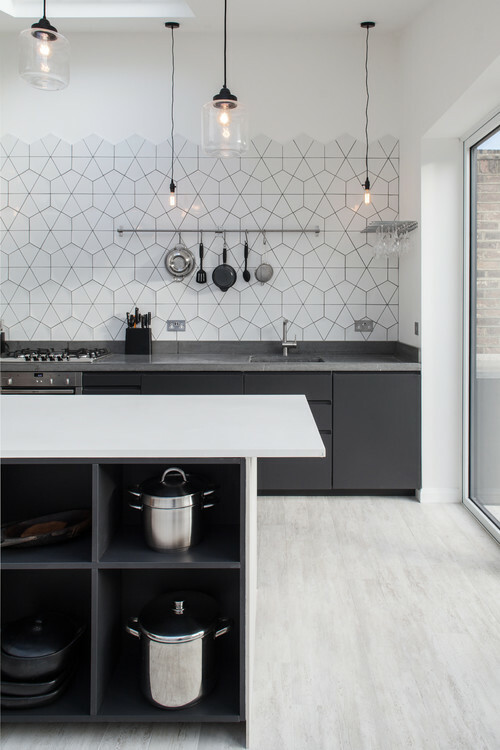 In the last decade however, this idea of the “minimalist design” has left many simply forgoing on tiles, and looking to backsplash and full wall cladding as an option. 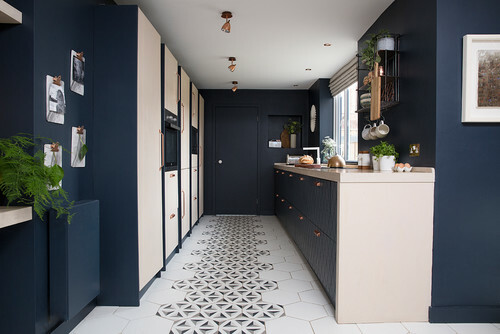 Thankfully however, we are seeing some new design trends which really highlight how, if you were in the market for making the most out of your walls or floors, tiling can once again be an option. Let us take you through some of the options that make this such a good idea for those that want to add something a little different to their final new kitchen design. Where are the tiles being installed? You need to know where the tiles are being laid in your kitchen. Are they a backsplash? Is it for all the walls? Underneath some of the cabinets? Behind the stove? Knowing where the final design will be present will make a great difference to the look, colours and size of tile you are applying. Different tiles, different finishes and subsequently, different quantities will all have an impact on your total budget. One of the things to keep in mind is how much you want to spend on things like your tiling, worktops and appliances. Sometimes it is easier to break down your kitchen costs this way to give yourself some freedom to move budgets around for the things you want the most and, to understand what you can’t afford to spend some money on. Kitchen tiles can include, quarry, stone, cork, vinyl, bamboo, ceramic, porcelain and glass. It is important to understand the difference between all these varieties to choose the ones that would go on the floor and the ones that would go on the walls. Quarry, ceramic and porcelain are the more traditional varieties that go on walls and backsplashes. Vinyl, cork and bamboo are traditionally on the ground. When it comes to choosing a tile for your floor, you want to think about how you live. For those that have high traffic areas, pets, children and so on, you want a tile that is durable underfoot and isn’t slippy. Choosing a tile that has texture can be a bonus in this case. If you are however someone that wants a more slimline look and feel, then go for something like a quarry tile. Slightly more expensive than a traditional ceramic tile, installed correctly it can provide a stunning finish. What you want to achieve with your kitchen tiles is a sense of balance with your colours. It is no different than the kinds of considerations you may have with a backsplash. With tiles, you have a slight variation of choice thanks to sizes and textures but the principle remains the same. Contrasting colours, or complementing colours – this is how you achieve the balance and feel in your kitchen with tiles. How you lay your tiles matter. They can affect the overall look and can also establish your eye line into the room. There are 6 common layouts, they include, herringbone, horizontal block, horizontal ⅓ block, horizontal ½ block, vertical ¾ brick and vertical block. 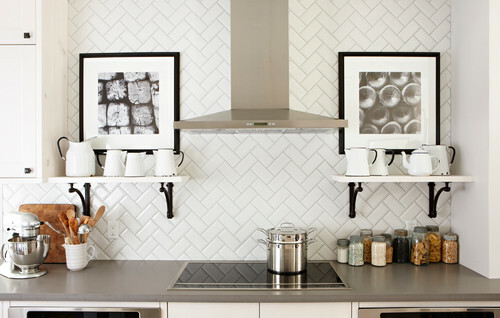 These are just some of the tips to consider when it comes to using tiles in your kitchen. If you’re looking for a professional consult, feel free to get in touch.